Healthcare is one of the largest industries in the United States. Based on data from earlier this year, U.S. annual healthcare spending was predicted to grow to over $3.5 trillion in 2018. Considering the size of the industry, some people think that marketing should be a piece of cake. After all, healthcare is something that everyone needs at some point in their lives. But, there also lies the challenge. Since healthcare is a needs based service, it requires a specialized approach to marketing. For those that work in the healthcare marketing industry, it’s about learning to communicate with target audiences in a way that generates engagement while establishing trust and authenticity. 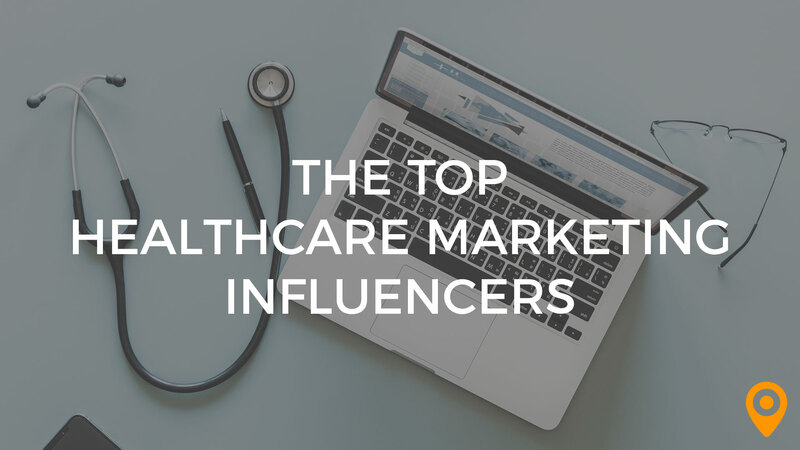 To illustrate this point, we’ve looked at some of the top social influencers in the healthcare marketing field to uncover their keys to success. Check out the six professionals on our list and see firsthand what success looks like for these top ranking healthcare social influencers. If you’re in the field of healthcare marketing and aren’t familiar with Kevin Pho, MD, then you’re missing out on one of the industry’s leading voices with a massive social influence. As a physician, prominent keynote speaker and author, he’s got his hands full but also somehow manages to find time to be on the Board of Contributors for USA Today. He’s also the voice behind the incredibly popular KevinMD.com. He currently has a massive audience on Twitter, which includes 154k followers. For a well-respected industry voice that’s also a strong social influencer, this is your guy. Christina Farr is recognizable as a technology and health reporter for CNBC.com, and with over 35k followers on Twitter, she’s also built up quite an influential presence for herself on social media. However, her influencer resume doesn’t stop there. She’s been a senior writer for Fast Company and an Apple Reporter for Reuters. She has a natural instinct for knowing how to engage people and the topics that stimulate their interest. She has built such a social presence for herself that it’s hard not to wonder if there’s a secret marketing degree somewhere in her background. Dave deBronkart, also known as e-Patient Dave, is a cancer survivor who has diagnosed in 2007 and given what was described as a grim prognosis. He has since let his own journey inspire him to become a leading international keynote speaker on opening up the world of healthcare information for patients. His TED talk ranked among the most watched of all time and he’s built up a following of more than 37k on Twitter. He intuitively understands the value of communication between patients and healthcare professionals. This is only part of what makes him so influential in the industry. He’s a force that can’t be beat when it comes to generating patient engagement. It’s impossible to utter the words “marketing influencer” without Glen Gilmore coming to mind. He’s been named as Time’s Man of Action and listed among Forbes Top 20 Social Influencers. While he isn’t primarily focused in the healthcare industry, there’s no denying the value of following this prominent social voice. Glen Gilmore is one of the most respected names for his advice on digital marketing and transformation as well as online reputation building, influencer relationships and how compliance and governance play into marketing for certain industries. But don’t take our word for it – join his 309k followers on Twitter and see for yourself. Anthony Tiernan is a UK based Director of Engagement and Communications for the NHS. His title alone tells us that he probably knows more than a thing or two about what it takes to reach out and engage in the healthcare industry. Take a scroll through his Twitter feed and see his work in action as he promotes the upcoming 70th birthday of the NHS. With more than 12k followers, he’s the perfect example of an influencer who knows how to generate interest in healthcare industry topics. We’ll conclude our list of healthcare marketing influencers with BBC health correspondent, Nick Triggle. As a member of the media, Mr. Triggle is focused on public health and social care and has carved out a reputation as being one of the most respectable in the industry. As a Royal TV Society and Medical Journalists Association award winner, he’s become an influential voice that’s recognized around the world on social media. While he might not have as many American followers since his feed is mostly NHS based, there’s a lot that any healthcare marketing professional can learn about building a social following that measures in the tens of thousands.